Valentine's Day is just around the corner, the arrows and bows are back again! 🎯❤️ It tends to make some couples feel nervous about doing it right. For one, stop that! You’ve got this! Secondly, if you're drawing blanks on places to go that will feel both special and are highly rated, we trust that the businesses here will be Top Choice, so get booking! 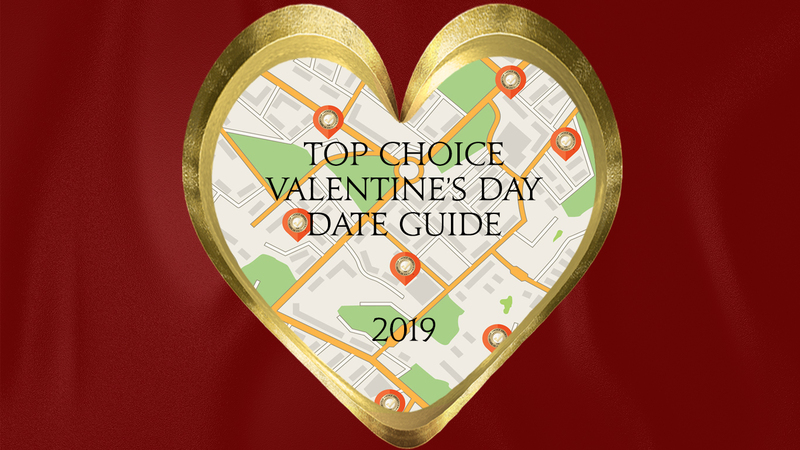 Look for your city below and invite your valentine to a Romantic Date out to one of these Top Choice businesses voted by the people in your city! Spa Reveil - Looking for the perfect relaxing getaway? Book a Spa Day with your Valentine so you both can relax and get pampered together. That Italian Place - Surprise your Valentine by visiting Brampton's Top Choice Italian Restaurant! Venezia Pizza - Does your Valentine love Pizza? Surprise them by visiting Brampton's Top Choice Pizzeria, or stay in and order delivery! Divine Spa - Looking for the perfect relaxing getaway? Book a Spa Day with your Valentine so you both can relax and get pampered together. 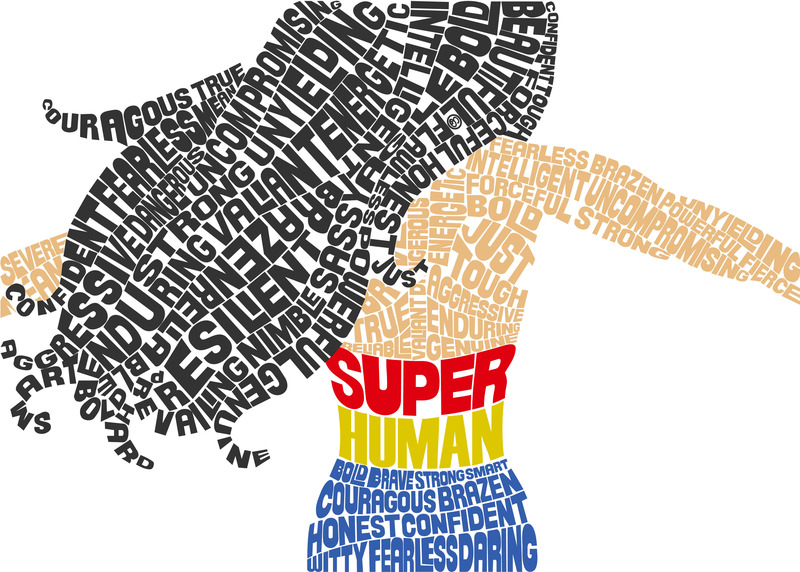 Pure Hot Yoga - Practicing yoga with your partner can help foster communication, support and trust. Visit Calgary's Top Choice Yoga Studio this Valentine's Day! Tart Bakery Dallas - Looking for a delightful pastry or cake that is your Valentines's favorite? Surprise them with a goodie on Valentine's Day! Maki Maki - Surprise your Valentine by visiting Edmonton's Top Choice Japanese Sushi Restaurant! Prana Yoga Studio - Practicing yoga with your partner can help foster communication, support and trust. Visit Edmonton's Top Choice Yoga Studio this Valentine's Day! Decadently Yours - Looking for a cute pastry or cake that is your Valentines's favorite? Surprise them with a goodie on Valentine's Day! La Sem Patisserie - Looking for a cute pastry or cake that is your Valentines's favorite? Surprise them with a goodie on Valentine's Day! Goodfellas Pizza - Does your Valentine love Pizza? Surprise them by visiting Mississauga's Top Choice Pizzeria, or stay in and order delivery! Ahora Mexican Restaurant - Does your Valentine love Mexican food? Surprise them by visiting Ottawa's Top Choice Mexican Restaurant! Renu Spa - Looking for the perfect relaxing getaway? Book a Spa Day with your Valentine so you both can relax and get pampered together. PranaShanti Yoga Centre - Practicing yoga with your partner can help foster communication, support and trust. Visit Ottawa's Top Choice Yoga Studio this Valentine's Day! Nonna's Oven - Does your Valentine love Pizza? Surprise them by visiting Richmond Hill's Top Choice Pizzeria, or stay in and order delivery! Cluny Bistro - Does your Valentine enjoy French Cuisine? 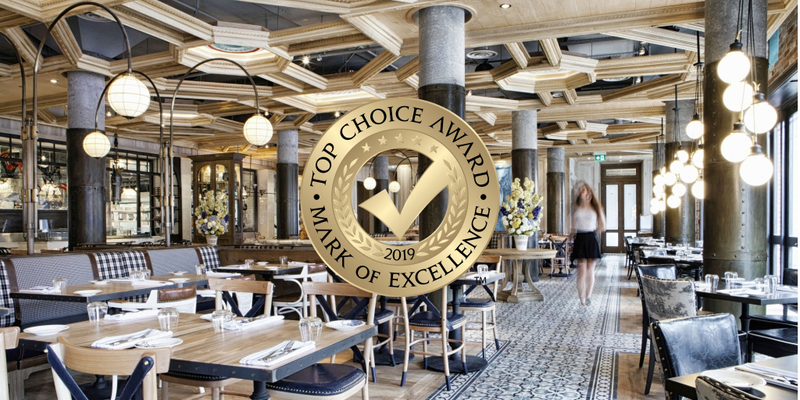 Surprise them by visiting Toronto's Top Choice French Restaurant! Whisked Gluten-Free - Is your Valentine allergic to Gluten, surprise them with a wide selection of pastries and cakes this Valentine's Day! El Catrin - Does your Valentine love Mexican food? Surprise them by visiting Toronto's Top Choice Mexican Restaurant! Pure Spirits - Does your Valentine enjoy seafood? Surprise them by visiting Toronto's Top Choice Seafood Restaurant! Sabai Thai Spa - Looking for the perfect relaxing getaway? Book a Spa Day with your Valentine so you both can relax and get pampered together. Sweet Regards - Looking for a cute pastry or cake that is your Valentines's favorite? Surprise them with a goodie on Valentine's Day! Cannoli Queens - Are cannolis your Valentine's favorite treat? SSurprise them by visiting Vaughan's Top Choice Cannoli Shop! Fiamma Ristorante - Does your Valentine enjoy Fine Dining Cuisine? Surprise them by visiting Vaughan's Top Choice Fine Dining Restaurant! Serenity Spa & Laser - Looking for the perfect relaxing getaway? Book a Spa Day with your Valentine so you both can relax and get pampered together. Modo Yoga Maple - Practicing yoga with your partner can help foster communication, support and trust. Visit Vaughan's Top Choice Yoga Studio this Valentine's Day! Healthy Creations Inc. - Looking for a cute pastry or cake that is your Valentines's favorite? Surprise them with a goodie on Valentine's Day! Antonino's Original Pizza - Does your Valentine love Pizza? Surprise them by visiting Windsor's Top Choice Pizzeria, or stay in and order delivery! Santa Lucia Pizza - Does your Valentine love Pizza? Surprise them by visiting Winnipeg's Top Choice Pizzeria, or stay in and order delivery!